Read enough teaching philosophy statements, and it seems that many composition instructors seek to cultivate “civic awareness” or “civic engagement” in their students. But exactly how can we go about doing that and what can that look like in practice? A curriculum that includes service-learning, which asks students to become involved with the community surrounding their academic institution, engages students with civic concerns. 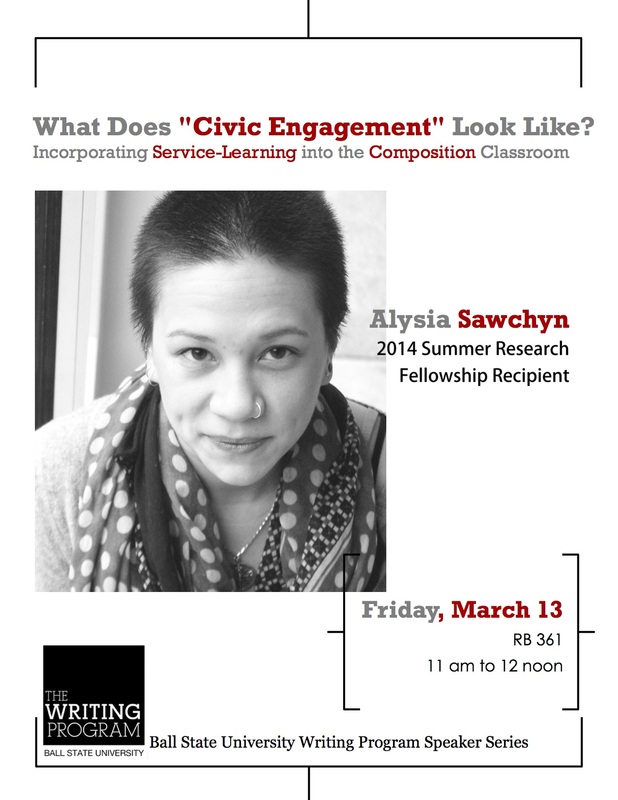 This presentation will first provide an overview of the history of service-learning in composition studies and some current research in the field. It will then focus on specific, concrete possibilities for incorporating service-learning into the composition classroom.